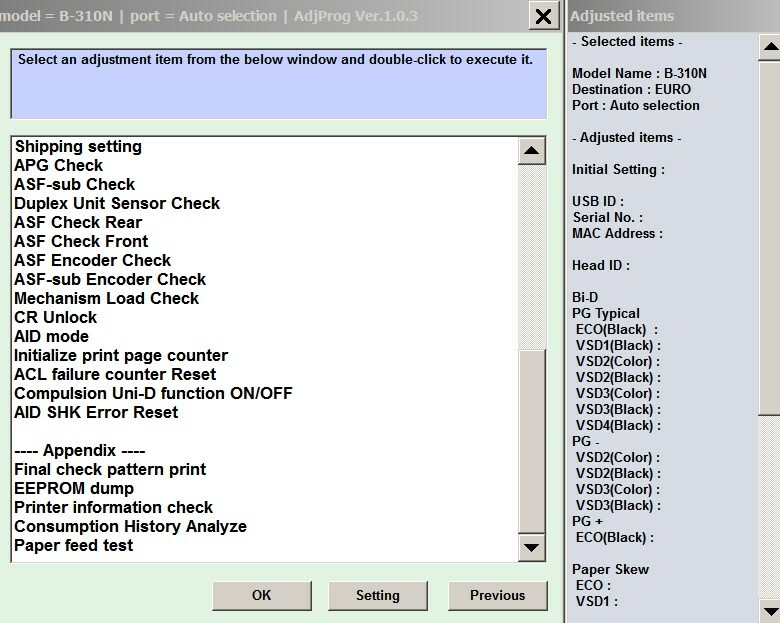 Home » Service Manual Catalog » EPSON Adjustment Programs » InkJet printers » AP_B310 I have paid for Reset Key but not received yet. 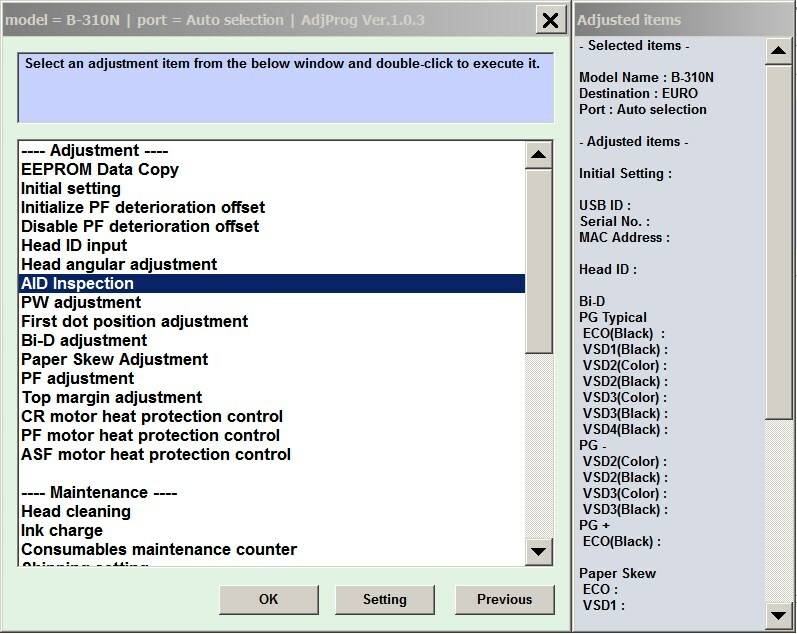 The Epson Adjustment Program for New model Epson B310, B510 can be used under Windows only (Millenium, 2000, XP, Vista [in compatibility mode]). 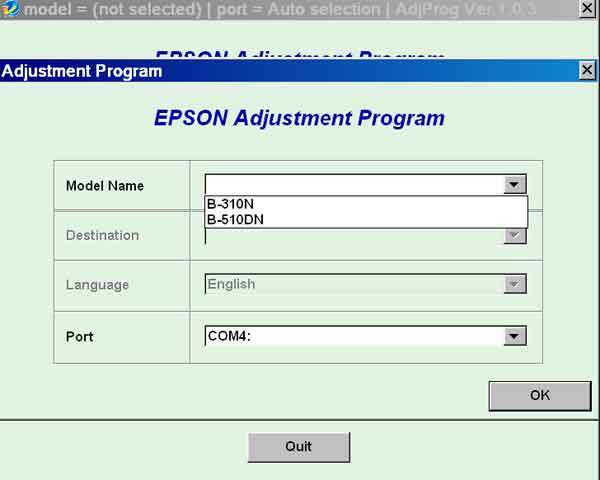 We recommend reading the Epson B310, B510 Service Manual before using the adjustment utility.